If you don’t know, Dayton and Montgomery County have ‘tons’ of space for your event or happening. 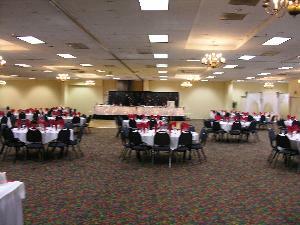 From our convention center to banquet facilities, nothing is too big or small. One such venue has been a part of the fabric here for over 50 years. In the 1940s, the land where Hara now sits was the Wampler family fruit orchard. In 1943, the Red Barn was built on Wolf Road as a fruit and vegetable stand for Wampler Farms. Harold Wampler, Sr. and his wife Myrtle enjoyed dancing, () so they built a hardwood floor on the loft of the Red Barn and created an exclusive dance venue, the Cedar Loft Club. Harold soon began to rent out the Red Barn. Demand exceeded supply, so he began a tradition that his sons and their sons would follow; build to meet a demand. 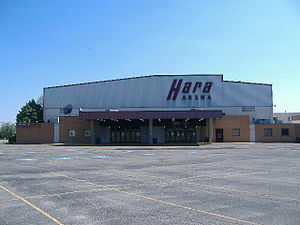 Right across Shiloh Springs Road, he began what is now today’s Hara Complex with the Ballarena was constructed in 1956. Dancing was at the height of its popularity and it wasn’t long before more room was needed. 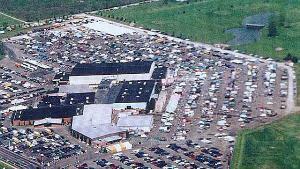 Harold’s two sons, Harold, Jr. and Ralph seized the opportunity and added the Silver Arena in 1959. Noticing that the Dayton area did not have a place to host the Shrine circus, the Wampler’s responded to a need and built the 5,500 seat Hara Arena in 1964 which ushered in an era of entertainment the Dayton area had never seen before. "The name Hara was taken from the first two letters of Harold and Ralph’s names," says Marketing Director Karen Wampler and wife of Rue (Ralph Jr.)Wampler, Ralph’s son. "We’re thankful their birth order wasn’t reversed. Otherwise, we’d be welcoming people to Raha Arena. No Where else but Raha!" she says with a hearty laugh. From those humble fancy feet beginnings, Hara was the place to see and be seen. Dayton was suddenly a market where ice shows, car shows, circuses, rodeos, monster truck challenges stopped and who can forget the hottest ticket in town, Dayton Gems Hockey. 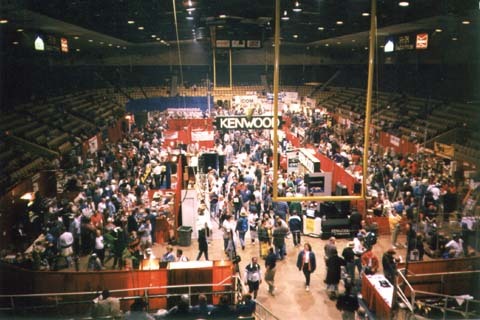 The Hamvention is held here every year, and there’s plenty of room to accommodate any event large or small. So, remember Dayton is the place to host your event and poised to roll out the red carpet. Paparazzi too if need be. Please note: The Dayton CVB has compensated me to share my thoughts on Hara Arena.